SOMETHING NEW IS coming to the top floor of the Landmark Inn. Matt Mering, the director of development for Graves Hospitality which owns the hotel, won’t say what exactly except that it’s going to be a pretty big deal. It’ll be something new that will also honor the past, he says. We’ll know more about it in the next couple of weeks. The top floor currently houses the tiny but much-in-demand Northstar Lounge, the Sky Room (a banquet room), a small fitness room, and some guest rooms. 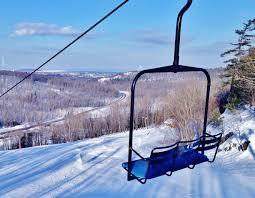 It also features arguably the best and most panoramic view in Marquette. 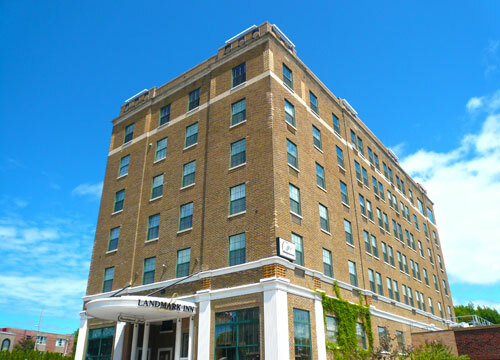 Graves has recently sunk $750,000 into upgrading the bathrooms at the Landmark, and another $1 million is earmarked for the guest rooms and the sixth floor, so they’re all in on upgrades. And business in booming–up 10% this year over last. AS SUMMER COMES to a close, Marquette Mountain is starting to focus on the big changes coming to the slopes this November. Lower ticket prices! Longer hours! New groomers! New snowmaking guns! New LED lights up and down the mountain! What’s gotten less attention are plans to turn the mountain into a year-round recreational venue. According to GM Frank Malette, it’ll be 120 days of skiing and snowboarding, and 220 days of biking. Yep, mountain biking. Starting next spring, the lifts will be operating daily to take bikers to the top of the mountain where they’ll be able to hook up with NTN trails. Talks are now underway with NTN officials. So, that’ll be seven months of biking. And Malette suggests that eventually biking could surpass skiing as a moneymaker for the Mountain. A bit optimistic perhaps, but there’s nothing wrong with optimism. You’ll never succeed at something unless you try it. 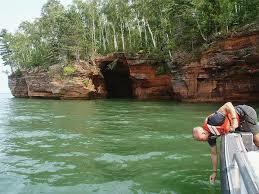 PLENTY OF ATTENTION on Munising and Pictured Rocks this summer. Overrun with tourists! Traffic jams! Restaurants running out of food! Much of it hyperbole, of course. But here’s a little dose of reality. The Pictured Rocks Cruise craze has actually mellowed out over the last two years. After skyrocketing growth in the previous several years, the last two seasons for the cruises have been more-or-less flat. Good volume, good revenue, great reactions from tourists, but no increases to speak of. This, according to owner John Madigan. Talk to the folks at Uncle Ducky’s and they’ll tell you the same thing: after huge growth just a few years ago, the kayaking craze has died down. Still robust, but not out of control. 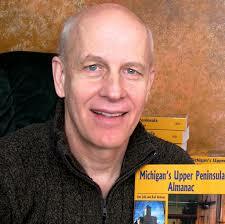 MORE SUMMER STUFF, from WLUC meteorologist Karl Bohnak. Yeah, this summer was warmer than the last couple of them, he says. Quick comparison: This July averaged about 2.5 degrees higher than last July. August was up more than 4 degrees. Last year, May through September, we had only 20 days at 80 degrees or above. So far this year, we’e already had 33. That’s fine. Just keep the summers warm. THIS IS GENUINELY disturbing. An article in the New York Times. An algae bloom on Lake Superior over near the Apostle Islands in Wisconsin. Fifty miles long. It first appeared earlier this summer and has since dissipated, although a scum on the surface reportedly remains in some places. Not what you’d expect on vast, cold, and pristine Lake Superior. Suspected culprits? Farm and phosphorous runoff. Leakage from sewer systems. Pollution. And of course, climate change–warmer air and warmer water. It’s not hard to imagine how we’d react if an algae bloom suddenly appeared off the shores of Marquette and Munising. Yikes. ANYTIME WE HEAR about new construction in Ishpeming, we get excited. 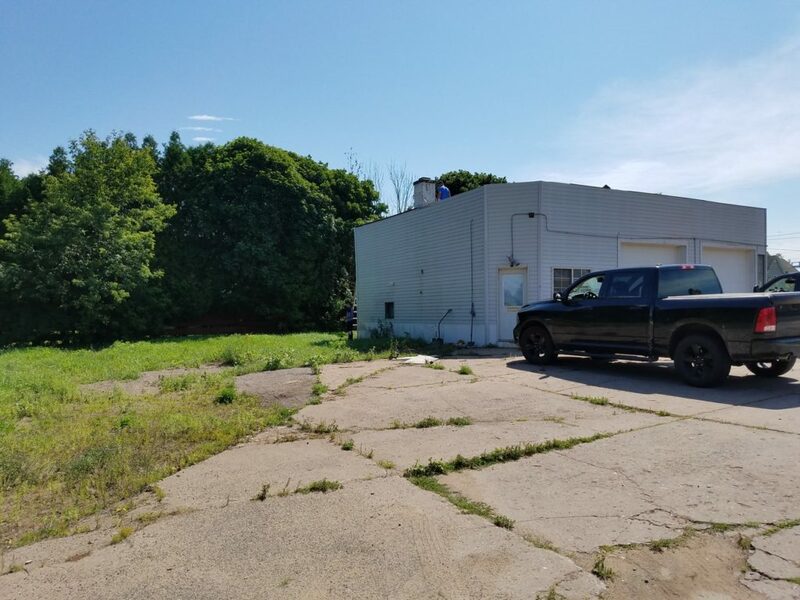 Gauthier Enterprises, a local family business, has demolished an old car repair shop on Third Street and plans to construct a new commercial building, ready to open by next spring. What kind of business? Uncertain at this point, but any construction in Ishpeming, which has struggled to attract investors, is promising. That’s the latest on the Beacon House’s campaign to raise funds to build a new hospitality center for patients and families of patients at the new hospital. It’ll be located just a couple of minutes’ walk from the hospital. 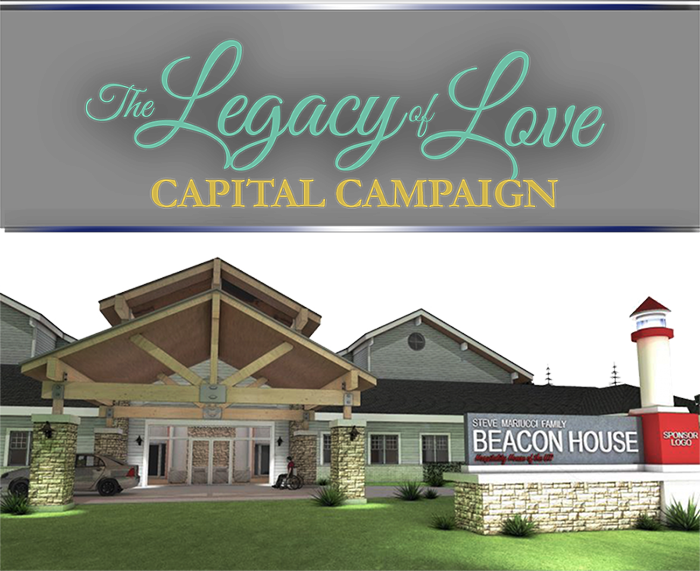 The Beacon House needs $3 million to build the first phase of the new facility. So far, according to executive director Mary Tavernini Dowling, they’ve raised $1.5 million. The latest push to raise funds comes his afternoon (Thursday), 5:30 to 7 pm. A party on the boardwalk behind the Hampton Inn. Pasties, sliders, beer, wine. All free. They’re calling it the 906 Pledge Party. The hope, of course, is that you’ll see fit to pledge money to the new Beacon House–say $9.06 a month for a year, or $90.60 a month…or…You get the idea. 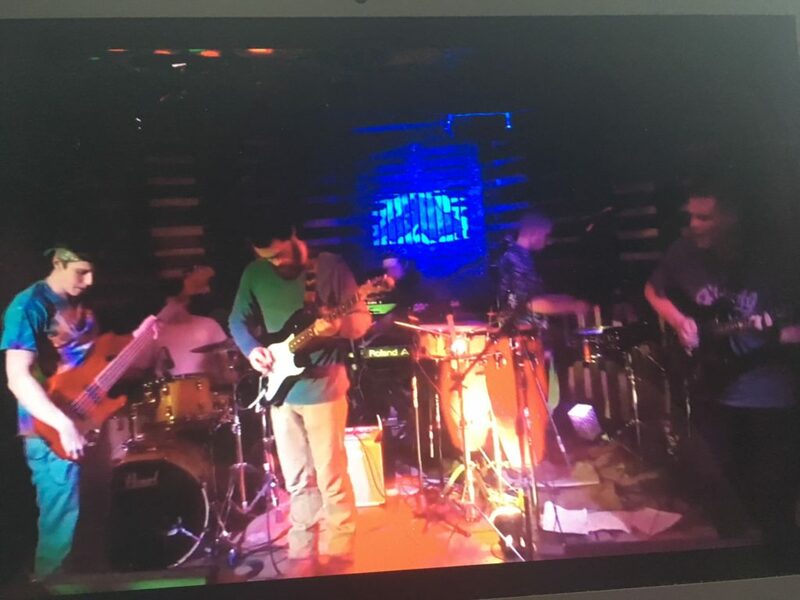 That’s bassist Daniel LaBar talking about his group Lumi whiich is releasing their album and putting on a free concert tomorrow (Friday) at the Presque Isle bandshell. 7-10 pm. Talk to people who know music and they’ll tell you these guys are for real. Genuinely talented musicians who’ve already acquired a following. All original music. But it’s a tough business. You’ve got to find a promoter, a producer, somebody with connections who truly believes in you. Maybe it starts tomorrow at Presque Isle.